Zipit Lunch Boxes aren’t only for carrying food. Many customers purchase them as everyday storage containers, for items around the home or workplace. For example, Kids frequently use them as over-sized pencil cases, or mini toy boxes. 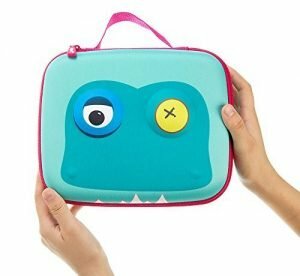 The bright, contrasting colours and not-so-fierce teeth make the ‘Jumbo’ a distinct and eye-catching Zipit Lunch Box that really stands out on the playground. But how about for regular storage? Well, the Beat Box is named ‘Jumbo’ for a reason. 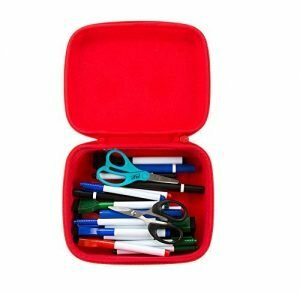 It fits approximately 100-110 pens or pencils. Or you may alternatively decide to store scissors, sharpeners, crayons, markers, makeup — or whatever else you please. It’s got plenty of space. Here’s another of our favourite Zipit Lunch Boxes. It’s very similar in size and functionality to the ‘Jumbo’. But this one doesn’t require a monster face to draw attention. 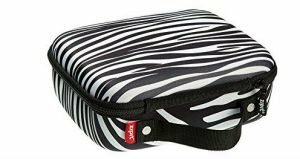 The black-on-white, retro zebra print pattern is unlike most other Zipit designs which are typified by their elaborate bright colours. We like the changeup — and so do many of our customers as well. But if you still prefer more colourful designs then the ‘Colorz’ range certainly lives up to its name. In stark contrast to the zebra design, there’s Multi-Coloured, Blue or Purple options available. All three alternatives comprise a modern geometric triangle pattern on the hard outer shell. Be sure to check them out in our Storage/Lunch Box section. Zipit Colorz Large Storage Boxes are all only £17.15. What’s happened to one of its eyes? What are those little bumpy dimples on either side of its face? And are those meant to be white jagged teeth at the bottom (above the zip)? If so, why aren’t they attached to its head? I must admit this one very mysterious lunch box! But then I realised that this is the whole point of it. After all, you don’t buy Zipit Lunch Boxes to conform to popular designs. You buy them for their originality. Zipit Beast Lunch Boxes are available for £17.15.